ABOK stands for Analytics Body of Knowledge. Based on the authors’ definition of analytics—which is “a process by which a team of people helps an organization make better decisions (the objective) through the analysis of data (the activity)”— this book from Institute for Operations Research and the Management Sciences (INFORMS) represents the perspectives of some of the most respected experts on analytics. 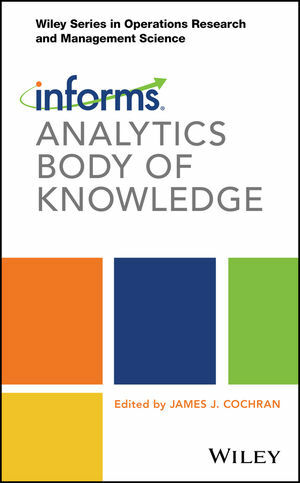 The INFORMS ABOK documents the core concepts and skills with which an analytics professional should be familiar; establishes a dynamic resource that will be used by practitioners to increase their understanding of analytics; and, presents instructors with a framework for developing academic courses and programs in analytics.